The ECO-REG/LT is a simplified version of ECO-REG, adapted for private houses. It displays the room temperature and adjusts it according to the instructions received by radio waves. Cyclically, the ECO-REG/LT regulator transmits its operating statistics to the ECONTROL/LT central station. ECO-REG/LT synchronization is fully automatic with ECO-HOT/LT modules. 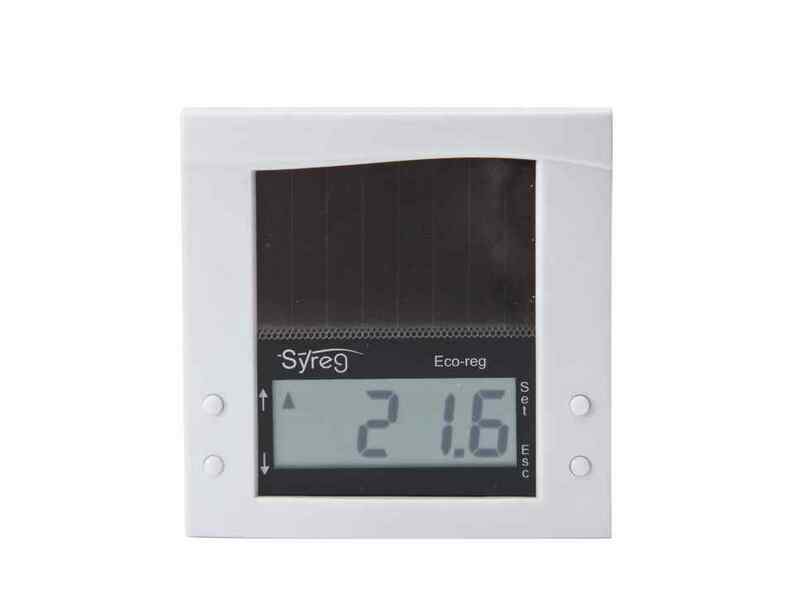 You can place up to 16 ECO-REG/LT regulators to manage 16 rooms. The design is modern and slim. 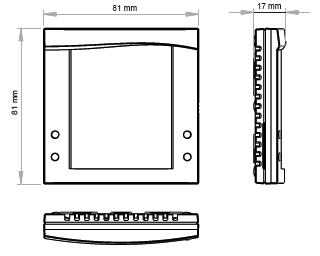 Its highly reduced size and thickness of 17 mm makes it the flattest regulator in the world. 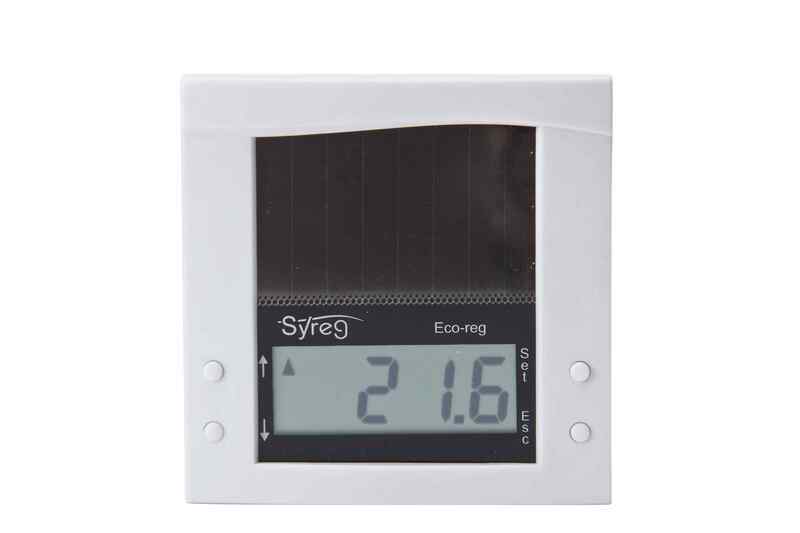 The ECO-REG/LT regulator is compatible with all boilers. You have to check that your hydraulic system includes a security bypass between the supply and the return of the heating circuit. This is mandatory for installations. How to change room temperature? Either by changing the setpoint in ECO-MANAGER/HOME (see program) Either on ECO-REG/LT by pressing the "SET" button and then the up or down arrow. Confirm change by pressing "SET" again. Am I notified if the battery is flat ? Yes, the LCD display shows "BAT" and the ECO-MANAGER/HOME software indicates a heart-shaped icon. The lifespan of the battery is 10 years and SYREG guarantees 5 years. How to program ECO-REG/LT regulator? It's simple, you indicate its identifier from 1 to 16 and the ECONTROL/LT address. You configure each ECO-HOT/LT related to ECO-REG/LT by pressing the setup button. Is the ECO-REG/LT regulator visible on the Internet? Once the ECONTROL/LT station is connected to the modem connected to Internet, it sends SYREG's data center its operating information. Data is sent cyclically.